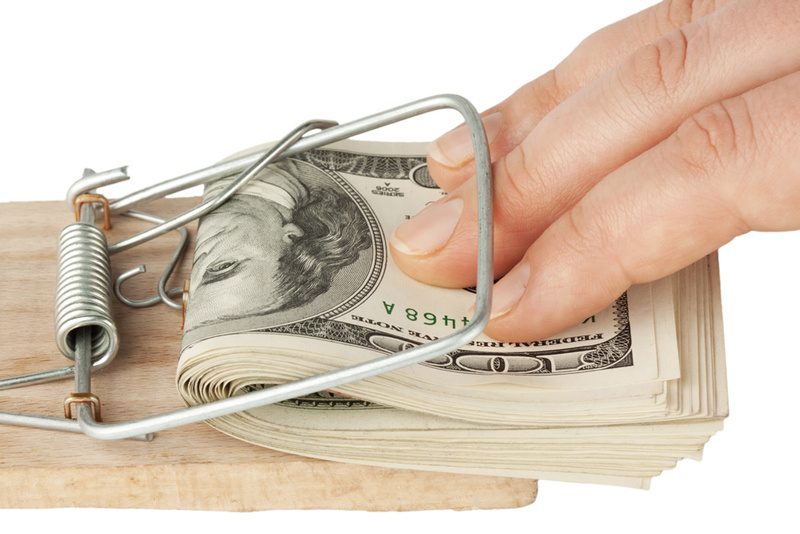 25 Reasons Why YOU DON’T Want to Fall Into this Trap. Those guys out there who preach that you should “dollar-cost average” seem to be paid shills for the whole stock market industry. The big idea behind so-called “dollar-cost averaging” is this… just keep buying because the market always goes up eventually. The idea behind “dollar-cost averaging” (DCA) is that you spend the same amount, say $1,000, every month on a given investment. If the stock price goes up, you invest that amount, this month… if the price goes down next month, you still invest the same amount of cash… only to buy at the cheaper price. So, it all averages out, right? I’m writing to tell you right now… it’s a fool’s game. Don’t do it. The only thing good about dollar-cost averaging is that… you’re imposing self-discipline. However, this is a self-discipline that can and will hurt you. This happens when the market or the stock you’re investing in turns south, and you’re stuck trying to recover your lost gains. Dollar-cost averaging requires that you “stick to your plan” no matter what. The great deception behind dollar-cost averaging is it is impossible to know when and if a stock has hit bottom and turned around, until it has already occurred. So, it is very likely that you are throwing good money after bad. The market does not care that you invested, if it goes down for whatever reason—it takes you with it. And, that can be painful. When you determine to dollar-cost average… you’re not only investing your money; you’re investing YOUR EMOTIONS into the market at the same time. You are HOPING the stock will turn around and go up. Like it or not, emotional investors get hurt the worst. When you think about it… the worst part about dollar-cost averaging is that you’re not thinking about capital preservation. And, this is key. Why not SELL when you get a SELL SIGNAL? What a novel concept, right? SELL and sit in cash—until a system that you trust gives you a BUY SIGNAL. This is a better plan… instead of dollar-cost averaging, focus on capital appreciation and capital preservation. 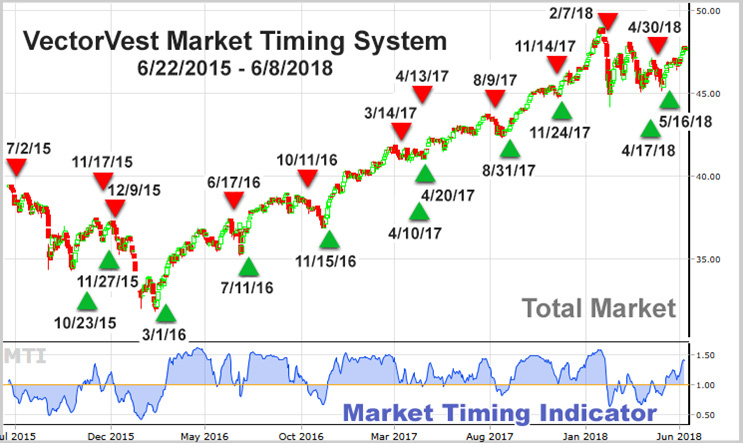 VectorVest’s powerful market timing system tells you exactly when it’s safe to buy stocks… and when to take your profits off the table. Capital appreciation and capital preservation means that you let your wealth grow when the market’s trending higher, and you pull your money out when the trend turns down. Dollar-cost averaging is a fool’s game. No one in their right mind would want to keep investing in a losing battle. Yes, you need self-discipline to be a smart investor… But, why not stick to disciplines that have been proven over and over again to increase your wealth. The only discipline that makes sense to me … is to check the daily BUY, SELL and HOLD signals you get from VectorVest. If you SELL when you get a SELL SIGNAL, you’ll have a lot more cash to jump into the market when it turns and VectorVest gives you a BUY SIGNAL. PLUS, you won’t have to struggle to make up for the losses you got by investing with the hope that things will turn around. If you lose 50% of your investment because you didn’t sell when you were supposed to… it takes a long time to climb back up to break even, and some folks never recover. You must make 100% return on what’s left just to break even. Believe me, I’ve heard the horror stories. VectorVest said SELL before every major market downturn for the last 20 odd years. And… every day, we give a clear BUY, SELL, or HOLD recommendation on over 8,000 stocks. Each day, there are hundreds if not thousands of stocks that get a SELL signal. Dollar-cost averaging, indeed. You don’t want to be in a stock that has a SELL signal. It’s your line in the sand. If you want to SAY GOODBYE to the frustration and risk you’re taking by “dollar-cost averaging” here’s what you must do… stop what you’re doing… and CLICK HERE to get a Risk-Free Trial membership of VectorVest. It’s a 30-day “test run” for only $9.95. Not only will you get daily BUY, SELL and HOLD signals on the market and thousands of individual stocks, you’ll also get a world-class education on dozens of strategies you can use to grow your wealth IN ANY MARKET, UP OR DOWN… and give yourself a bright and happy retirement… even if you’re starting with a small amount of capital. The idea behind VectorVest is that you buy undervalued stocks when the market is rising, and sell poorly performing stocks when the market is falling. Dollar-cost averaging is a good “story” for stockbrokers and the financial news shows who want to justify selling more beaten up shares to clients, but it’s a bit sketchy in a falling market. Don’t fall for it! You’ve got better tools available to you, in the form of a VectorVest Membership. Then, when you’re a member, you’ll know when it’s OK to get in and you’ll know when it’s best to get out. This guidance is clear, and even covered in a video after every trading day. VectorVest is all about the math. The mathematics of the markets’ value, safety, and timing. If you know the stock’s value… you have an advantage, right? If you know the stock’s safety… you have an advantage, right? If you know the stock’s timing… you have an advantage, right? Why not give yourself an almost “unfair” advantage over millions of investors out there whose only strategy is “dollar-cost averaging”? Let them take the risks of missing a SELL signal. Let them deal with loss and the struggle to recoup and crawl back from losses. Let them fret and worry about the future. You are invited to forget “dollar-cost averaging” and instead, follow BUY, SELL and HOLD signals given by a proven system. 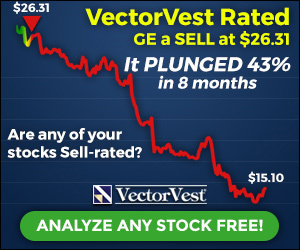 Again, stop what you’re doing and give VectorVest a try. When you do, you’ll get a ground-breaking e-book, free, written by our founder, Dr. Bart DiLiddo. This e-book will reveal ideas, strategies, and “common sense” you just won’t hear from all those talking heads. They just want you to buy, buy, buy and tell you to “dollar-cost average” as you burn through your hard-earned money. You’ll love it. I’m sure.